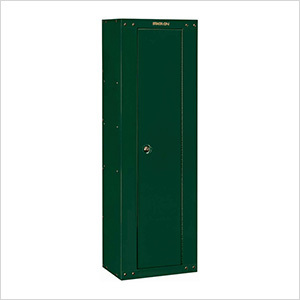 The Stack-On 8 gun ready to assemble security steel cabinet (hunter green) holds 8 rifles or shotguns up to 52 in. tall. Units are easy to assemble with integrated, form fitting parts that are fastened together. Fasteners are tamper proof from the outside of the cabinet.